The ENVMON-01 environment monitor facilitates Web-based remote monitoring of temperature and relative humidity. 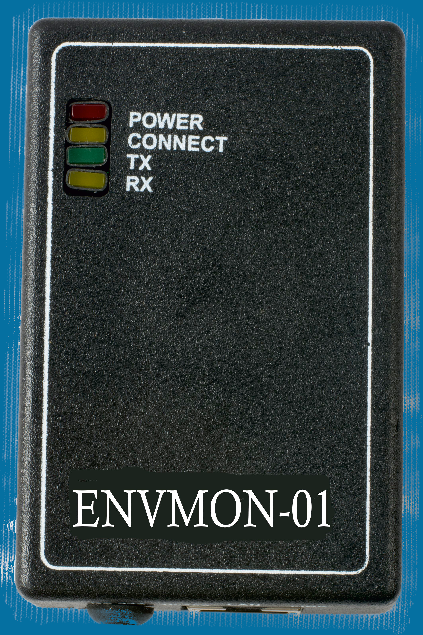 The ENVMON-01 is a low-cost temperature and humidity monitoring system using the SNMP protocol. It can trigger alarms for temperature / humidity variation outside of specified parameters via SNMP (v1, v2c). It has a built-in web server for configuration and can switch to the default setting as required. Residential & Commercial Real Estate.